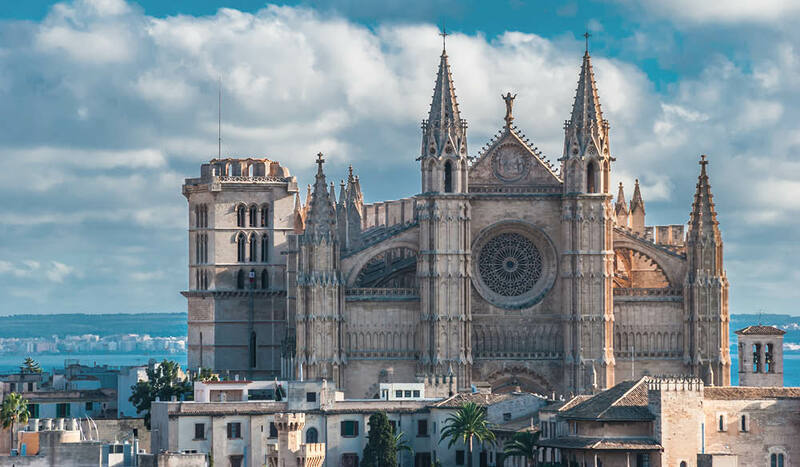 You shouldn't miss out on a peak at Cathedral of Santa Maria of Palma while daytripping around Majorca. Once you manage to scrape yourself off the sun lounge, the Balearic Island of Majorca has a cavalcade of highlights for the curious and adventurous. Here are the Majorca highlights you must not miss. A grand Gothic cathedral sitting almost at the water’s edge. 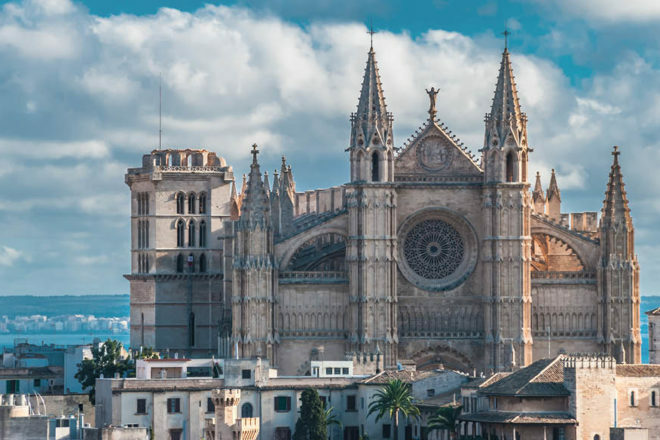 Known as La Seu, it contains the tombs of Majorcan kings and offers stunning views from the rooftop (rooftop tours are available during summer only). Originally an Islamic fort, before being transformed into the residence for the monarchs of Majorca, the hulking Royal Palace is technically still a royal residence, but visitors can wander the opulently decorated rooms within. Majorca’s beaches are beloved by British holidaymakers, with the most popular ones located in the south, west and northern parts of the island; head to the east coast to find quieter, unspoilt sandy coves and sparkling blue waters. Majorca has around 200 cave systems, with Cuevas del Drach credited as being one of the most impressive, not just on the island, but in Europe. Take a tour to see its stunning stalagmite and stalactite formations. Founded in 123 BC, Pollèntia was the most important city in the Balearics during the Roman period. Artefacts were first found among the ruins here in the 17th century, with excavations starting in 1923 and continuing today. Visitors can explore the theatre, the forum and the residential area of La Portella, as well as the Museu Monogràfic de Pollèntia. What is a Spanish paradors and how can we stay in one?